An easy way to control weeds without chemicals or sprays is by using landscape fabric. It’s usually made with burlap or woven polypropylene. With two choices, how do you know which material to use? Woven polypropylene is a synthetic material that does not easily decompose. It’s the perfect material for long-term use under mulch. Its tight weave allows for moisture to penetrate. Unlike burlap, are stronger and rot-resistant over time. If you’re looking for a cheaper option, burlap is the way to go. Burlap is a natural fiber made from jute. The material is strong and biodegradable, so chemicals do not seep into soil. Burlap is typically more resistant to UV deterioration but less so moisture than the woven polypropylene. Landscape fabric is also used to prevent erosion, walkways, flowerbeds, paths, planting, and landscaping. It’s great to protect your seeds from pesky animals and birds. At Commercial Bag & Supply, we are able to cut the fabric to any shape or size to meet your needs. 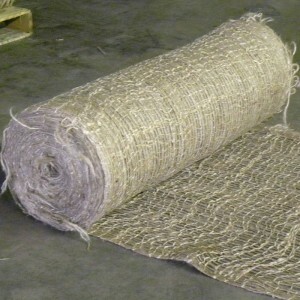 Since we import bulk quantities of both woven polypropylene and burlap, we can supply any commercial or industrial use you might have. Our cutting room can process quantities from 10 – 10,000; contact us for your custom wholesale landscape fabric order today.